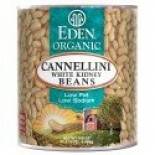 Attributes: BPA Free Cans or Bottles, Foodservice (Bulk Pack), Gluten Free, Kosher, Natural or Organic Ingredients, Non-GMO Project Verified , Wheat FreeIngredients: Organic white kidney beans (Cannellini), water, sea salt and kombu seaweed. 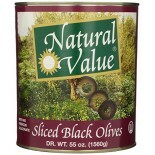 Nutritions: Calcium(4), Calories(100), Cholesterol(0), Die.. 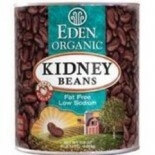 Attributes: BPA Free Cans or Bottles, Foodservice (Bulk Pack), Gluten Free, Kosher, Low Salt / Low Sodium / Reduced Sodium, Natural or Organic Ingredients, Non-GMO Project VerifiedIngredients: Organic kideney beans, water, sea salt and kombu seaweed. Nutritions: Calcium(4), Calories(100), Cholestero.. 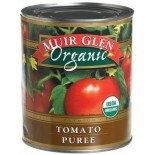 Attributes: Kosher, Natural or Organic Ingredients, Non-GMO Project VerifiedIngredients: Organically grown and processed tomatoes and tomato puree, sea salt and naturally derived citric acid.Nutritions: Calcium(0), Calories(25), Cholesterol(0), Dietaryfiber(1), Fromfat(0), Iron(2), Protein(1), Satur.. 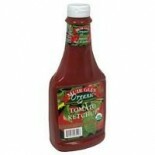 Attributes: Foodservice (Bulk Pack), Kosher, Natural or Organic Ingredients, Non-GMO Project VerifiedIngredients: Organically grown and processed tomatoes and tomato juice, sea salt, naturally derived citric acid and calcium chloride.Nutritions: Calcium(0), Calories(25), Cholesterol(0), Dietaryfiber.. 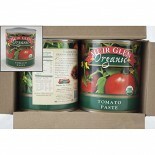 Attributes: Foodservice (Bulk Pack), Natural or Organic Ingredients, Non-GMO Project VerifiedIngredients: Organic tomatoes.Nutritions: Calcium(0), Calories(30), Cholesterol(0), Dietaryfiber(1), Fromfat(0), Iron(4), Protein(2), Saturatedfat(N/A), Servingscontainer(N/A), Servingsize(2 Tbsp), Sodium(20.. 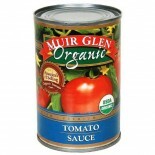 Attributes: Foodservice (Bulk Pack), Kosher, Natural or Organic Ingredients, Non-GMO Project VerifiedIngredients: Organically grown and processed tomato puree, sea salt, organic onion powder and organic garlic powder.Nutritions: Calcium(0), Calories(20), Cholesterol(0), Dietaryfiber(1), Fromfat(0), .. 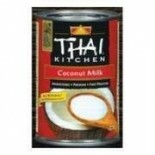 Attributes: Dairy Free, Foodservice (Bulk Pack), Kosher, Low Salt / Low Sodium / Reduced Sodium, Natural or Organic Ingredients, Non-GMO Project Verified , Vegan, Wheat FreeIngredients: Certified organic coconut milk (organic coconut, water, guar gum). 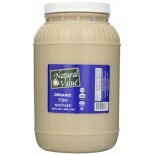 Nutritions: Calcium(0), Calories(100), Choleste.. 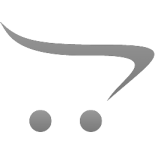 Attributes: Foodservice (Bulk Pack), Low Salt / Low Sodium / Reduced Sodium, Natural or Organic Ingredients, Non-GMO Project VerifiedIngredients: Tongol Tuna and Water. *Not a Sodium Free Food* Contains: Fish. 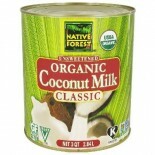 Nutritions: Calcium(0), Calories(60), Cholesterol(35), Dietaryfiber(0), Fromfat(0), I.. Attributes: Foodservice (Bulk Pack), Low Salt / Low Sodium / Reduced Sodium, Natural or Organic Ingredients, No Salt, Non-GMO Project VerifiedIngredients: Chunk Light Yellowfin Tuna, Water. 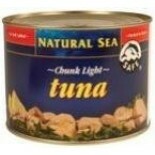 Contains: Fish. 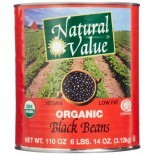 Nutritions: Calcium(0), Calories(60), Cholesterol(25), Dietaryfiber(0), Fromfat(0), Iron(4).. 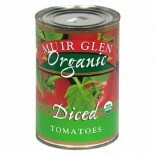 Attributes: Dairy Free, Foodservice (Bulk Pack), Gluten Free, Kosher, Natural or Organic Ingredients, Vegan, Wheat Free, Yeast Free.. 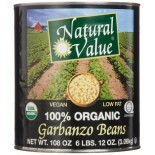 Attributes: Dairy Free, Foodservice (Bulk Pack), Gluten Free, Kosher, Natural or Organic Ingredients, Vegan, Wheat Free, Yeast FreeIngredients: Organic garbanzo beans, water, sea salt.Nutritions: Calcium(4), Calories(100), Cholesterol(0), Dietaryfiber(4), Fromfat(0), Iron(6), Protein(6), Saturatedfa.. 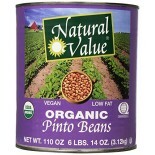 Attributes: Dairy Free, Foodservice (Bulk Pack), Gluten Free, Kosher, Natural or Organic Ingredients, Vegan, Wheat Free, Yeast FreeIngredients: Organic pinto beans.Nutritions: Calcium(4), Calories(60), Cholesterol(0), Dietaryfiber(14), Fromfat(0), Iron(15), Protein(7), Saturatedfat(0), Servingsconta.. 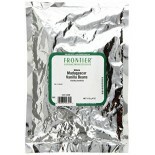 Attributes: Foodservice (Bulk Pack), Gluten Free, Natural or Organic Ingredients..